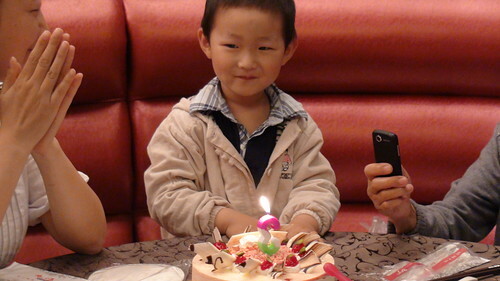 I’m sure Yifan had enjoyed his third birthday as he looked really contented. You and Wendy have done a great job raising a happy child like Yifan. You will notice his language going to really blossom hereafter with longer and more complexed sentences and increasingly more sophisticated vocabulary. I hope you won’t send him to one of those preschools where they have many spoiled Shanghainese brats! I found three 3-4 year olds in our building last year riding bicycles in our massive lobby. When I tried to stop them from riding there as they could bump into people walking by, or people can bump into them, their moms told me not to “educate” their children. They checked out with the receptionist who I was( a previous teacher) and from the States. The next day their kids were roller skating in the lobby. When I told the mothers our bobby should not be served as skating rink, they toldme not to bring “American rules to China”. The receptionist told me later on one mom’s husband is a well-known surgeon at Huashan Hospital and these kids all went to “expensive private preschools” . I don’t care who they are and how expensive schools they go to. Residents all need to obey rules including children. Period! 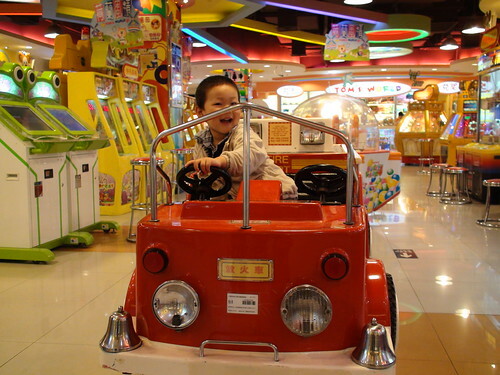 Yifan looks very happy which will make his parents very happy as well. Singing with his good memory is a gift, you have many years of pleasure ahead of you. He sounds like a very modern child who will do well in the new vibrant China. Best wishes to you all and thank you for sharing this with us. He he… handsome little guy! and just starting kindergarten. A milestone! Nice looking kid, don’t think he will end up like the juvenile nightmares TW encountered. JS is much better than those parents. http://www.smartgiftsmumbai.com is the one stop online gift shop where you can send gifts to Mumbai for every occasion. Sending Mumbai gifts online have become convenient and protected with us. For details, visit http://www.smartgiftsmumbai.com. Congratulations to you and Wendy! I feel like he has grown so fast. I guess the past 3 years have passed by quickly for all of us. Wishing you many blessings as a family! Thanks everyone! Yes. I am very happy and blessed to have Yifan with us – he is a cute and good boy and obviously he has formed his own style little by little…. Looking forward to the great years to come.